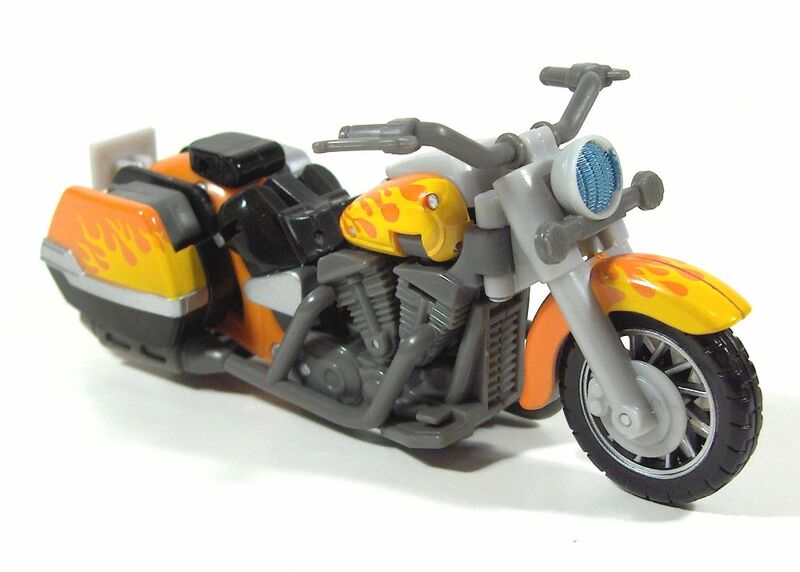 "I keep riding to the battlefield!" 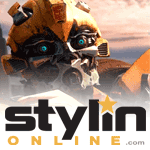 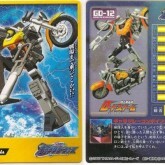 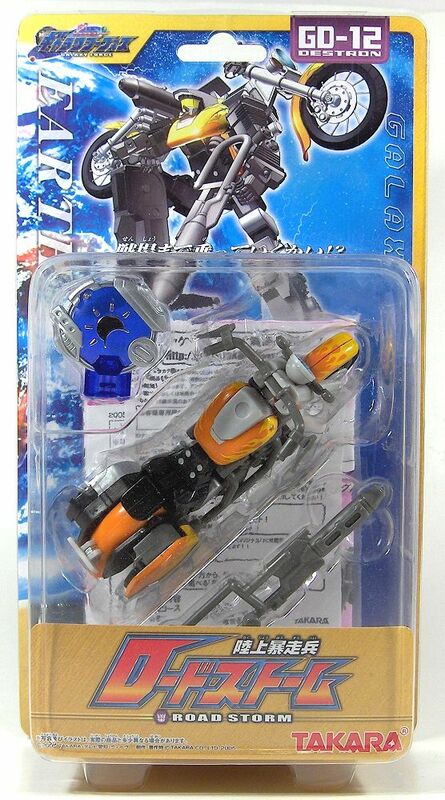 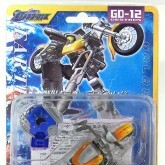 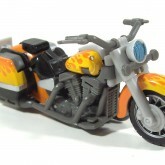 Road Storm is one of the bike-mode Transformers that has been threatening the people of Earth. 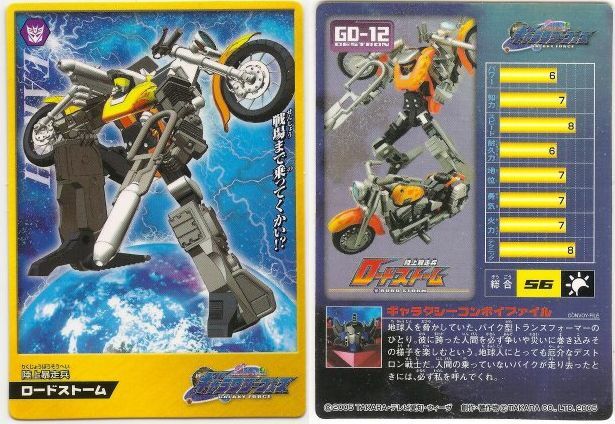 Any human who rides him is sure to get caught up in strife and misery, a situation he enjoys. 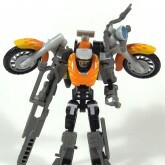 This Destron warrior is a major nuisance for Earthlings. 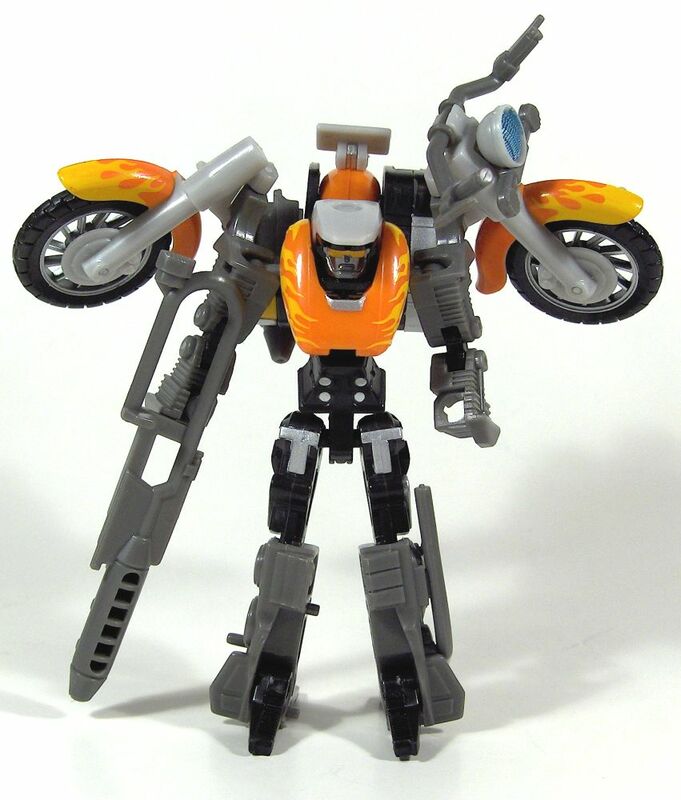 If you see a riderless bike racing away, be sure to contact me.